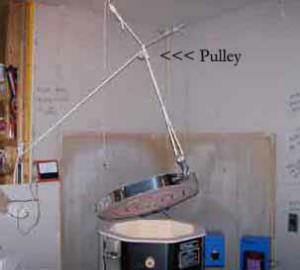 This is part three of a multi-part series setting up a pulley system for heavy kiln lids. Click here to go to part one. 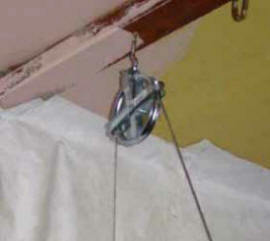 Click here for the next part of this series, which deals with securing the rope or wire to the handle of the kiln.